I kind of like how Lake Ontario gets thrown in there, even though we don't really have anything to do with it. From thehairpin.com. We don't want anyting to do with Lake Ontario. Sitting up there so snooty like. You'd think it were by Quebec or something. 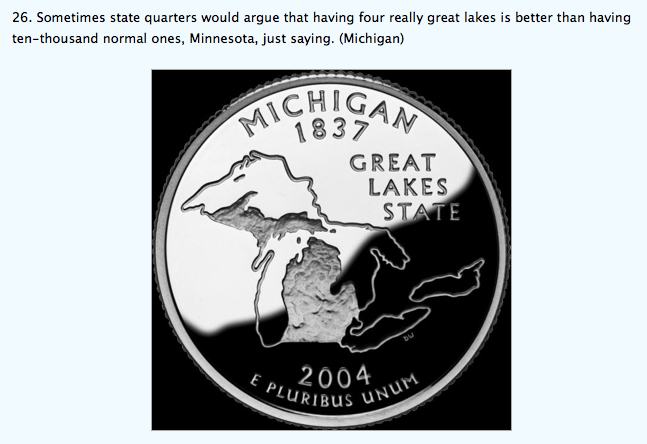 But remember this...4 out of 5 Great Lakes hate Ohio.